He calls it a '68. The LA motor number would be from '67. Both frame and engine have the infamous "Y" stamp. To me, the bike is obviously a '70. Clutch, horn relay, decals, etc. The '70 I'm just finishing up has the date code letters and A65L. Any ideas what this bike is? When did they start the BSA background stamping on the engine? By the way, someone should probably snap this up. IMHO, price is fair and he's open to offers. Wow, Bob, you genius! Never seen that bulletin before. Explains a LOT about the old "Y" debate, at least how it applies to the '70 bikes. Wish I had a few bucks right now. I think I'd be headed to Wisconsin to pick up this bike! Yep, the bikes with the 'Y' suffix on both engine and frame are generally 1970 models. The earlier 1967 bikes were never stamped on the frame, - and of course have a completely different appearance engine. I think we were assuming the bikes appeared towards the end of the 1970 season, it is interesting to note this one is supposedly original and has the grey faced instruments. I hope Bacon was not trying to rewrite history regarding the introduction of the black faced ones. Those that were around at the time will remember when they first saw them.. I never saw a 1970 bike back then with the black ones, - but that would have only been from a very small sample. This bike on eBay is a good example of a 1970 model. A couple of guys here have just bought similar machines and they will be studying these pics intently. All good stuff. No genius here, just pasted an old post from here. My genius is concetrating on why my tach is suddenly jumping around this weekend. That is a great looking bike. I concur, it is a 1970 and not a bad deal with a low enough "Make Offer" option. No the USA got the first production run. We got the dregs of what was left in the UK , called the "home & general export model" and then some of what did not sell in the USA and even some of the "Europe Export model" . Best I can make out they generally had the bigger guards and a speedo marked in Km in stead of Miles, some times. I am not sure I have come across this one before... I was in NZ and we never really got new season bikes. Bikes here could be sold and ridden any time of the year, not like the seasonal markets in the Northern Hemisphere. I remember seeing a batch of brand new Thunderbolts for sale on the showroom floor in April 1974. I think it was pretty well known and accepted that the market here would sell the bikes that had missed the selling season elsewhere in the world. So a bike still sitting in the States at the end of Summer/Autumn would be despatched to the colonies in time for the peak riding season here. I guess the last thing the dealers needed was competition from the 'New' season bikes. Yep, the bikes with the 'Y' suffix on both engine and frame are generally 1970 models. Kevin, good that you included 'generally' as you know the late '67 Spitfires refitted and sold as '68's were stamped with the 'Y'. Hi Gary, yes I did leave the out.... mainly because I know of one Y bike that appears more '69 model for what ever reason. Then there are the 'X' bikes as well. As for the Spitfires.... many have the '-Y' on the engine. I am familiar with the restyled MkIV appearance '-Y' bikes also but I am sure they were never stamped on the frame. Were all the restyled bikes wearing the '-Y' engine suffix ? I am assuming they were but can't recall now. That would be me. At least I tried to to explain that it was a '70 but he wasn't having any. Oh well. Nice try, anyway, Jim. I gave up long ago trying to tell eBay sellers anything. More often than not, you get an angry response. Success, It is now a 1970 model. Can you imagine all the owners who will now think they have 1970 model Spitfires and Hornets etc... hmmm. For all that it may be that another battle in the war may be won. At what point will the BSAOC in the UK catch up and correct their website ? The late '67 Spitfires in the (about) 16000-17000 number group had the engine stamped 'Y', but not the frame. These were the converted '67's to '68 specs and were dispatched April-July 1968. There are 478 SA's in the '68 factory production book. These are not the '-Y' bikes. Now that is interesting. Thanks Gary. I have seen pics of some of those bikes and can't remember if they were Dash Y or Y. I am guessing Dash Y because I am sure they would have stood out for me. They are very late despatch dates also... given that the first Dash Y Spitfires were shipped just after Xmas or New Year of 1966/'67. converted '67's to '68 specs and were dispatched April-July 1968. Are you saying the very last batch of Spitfires were actually reworked 1967 bikes ? if so that could have been the foundation for one of the rumours..
Or is it that the last of the 1967 bikes were just getting the 2ls brake etc instead of the 190mm before production of the 1968 Mk IV really started ? I have others, but here is one example from my data base. This is a very late '67 Spitfire, reconfigured to '68 specs, and thus, sold as a '68. It would be one of the total I presented avove. They are '68 SB in looks and specs, but with SA numbers. The '68 production book, and I am verifying '68, not '67, has dispatch dates of these '67/'68 hybrids (for lack of a better term) as presented previously. They were dispatched intermixed along with the true '68 SB Spitfires. The last '68 model dispatched had a date of 7/68 and was TB 10918 (Thunderbolt). The last '67/'68 SA hybrid (SA 17892) had a dispatch date of 4/68. It is noted that bikes off the production line were not neccessarily dispatched in date order. So, the April thru July '68 dispatch dates presented previously of the '67/'68 SA hybrids is correct. Sorry Jim, for the thread hijack. Thanks Gary, I found pics of the same bike here also, now that I have bothered to look. They are all over the place aren't they ? Some with the Dash and some without in those high numbers. I have SA17890Y as a MkIV also. 17898Y is another...I have pics of it as a MkIV and good pics of the engine number. Interestingly enough it is several numbers above the highest you have for that model. 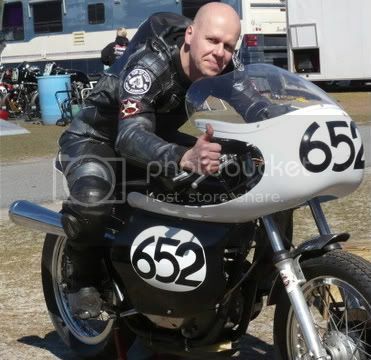 I found quite a number of pics of engine numbers of SA17xxxY bikes but I have no idea of the model. Certainly a high percentage of those Spitfires are missing the Dash before the Y suffix though. The Piled Arms logo has disappeared by now also. Do we have -Y bikes (Spitfires) that ran for much of the 1967 model year and then several hundred at the end of the run as just Y suffix and in MkIV livery... or is it not that easy ? 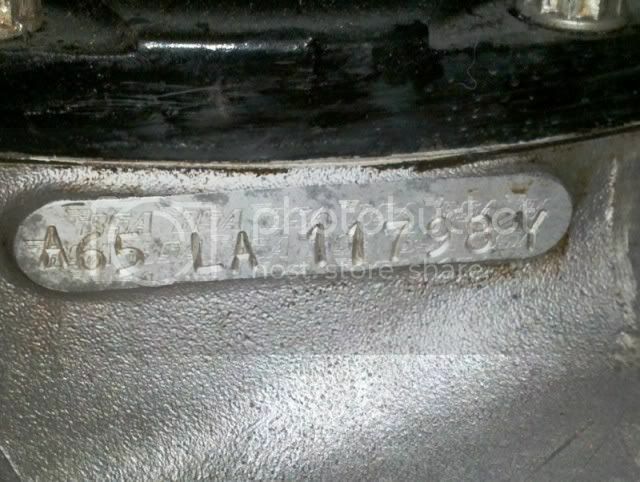 ...17898Y is another...I have pics of it as a MkIV and good pics of the engine number. It is all hard to interpet, in some cases, as I have an image of SA 17904Y which was not found in the production book. Go figure. ...The Piled Arms logo has disappeared by now also. The piled arms logo stamp on the engine seems to have disappeared about #10000, although early '67 numbers don't have it. I have seen several in the 2000, 3000, and 4000 numbers that don't have it including my '67 Wasp that is in the 3000 group. Do we have -Y bikes (Spitfires) that ran for much of the 1967 model year and then several hundred at the end of the run as just Y suffix and in MkIV livery... or is it not that easy? That is my observation. As you say: "-Y" SA's through most of '67 (except very early of course) then the "Y" SA's at the end made in to '68's. So, there are actually three Y issues (oh no! ): "-Y", SA "Y", and 1970 "Y". Whew! I think I will go have a beer. Yep, I am a few hours ahead and had my Saturday night beers while trying to digest this last night. I can see now that many of the last SA Spitfires had just the Y suffix (again with the odd exception). And I am understanding your observations about that tallying with the MkIV styling.... my sample base is far too small to be accurate. The big issue for me is the despatch dates. I realise you have seen the records and may even have a copy, - which is marvellous. The thing we seem to be saying is that these bikes were built at the end of the model season (maybe... we don't know). It all comes off the rails when you say they were despatched a whole year later... what gives ? Could this be another part of the jigsaw ? We know it was not the '-Y' bikes of 1967... they were selling immediately. We have Dating Certificates plus several owners here were riding them during 1967. 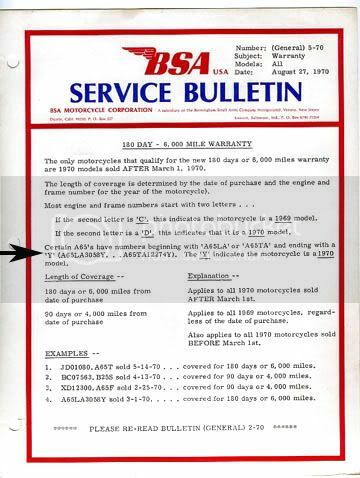 It was not the 1970 Y bikes.... BSA in the States included them in their SB when they had to match the Japanese warranties in the early '70's. The Bulletin was dated May 1970 so the bikes were in the USA by then, - indeed they gave an example of one selling in March 1970. Again we have owners here buying them in 1970. And they were not sold in competition with the OIF bikes that appeared just a few months later. 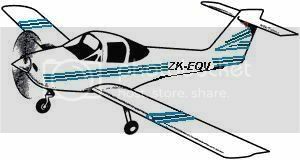 A restyled SA Spitfire is little competition for a SB Spitfire... it would sell for the same price. If the model was being phased-out it might make them even easier to sell. Did they run out of 190mm brakes, or forks or something ? Was the market swamped with the massive run of 1967 machines and the bikes were held back ? Presumably the bikes were already stamped with the SA numbers. If they were not stamped you would just introduce them into the '68 production run as SB models. Why ship them in April to June 1968 ? The last Spitfires to be sold ?? Rich B strongly believes the rumour about the small production run of '68 Firebirds is nonsense also. The last of the 1968 Firebirds may have been sales competition for the last batch of Spitfires to be shipped. Sorry Sir, We only made 200 Firebirds this year... would you like a nice new SA Spitfire (Hybrid). instead ?!! What we need is a time machine. But then we wouldn't have anything to write about. That would be a posibility when looking at the production numbers. About 18600 '67's (all models), about 11000 '68's (all models). I also was perplexed when I saw that the '67 SA (hybrids) were dispatched so late (April thru July '68). I would have thought they would have been the first to go before the '68 SB's. 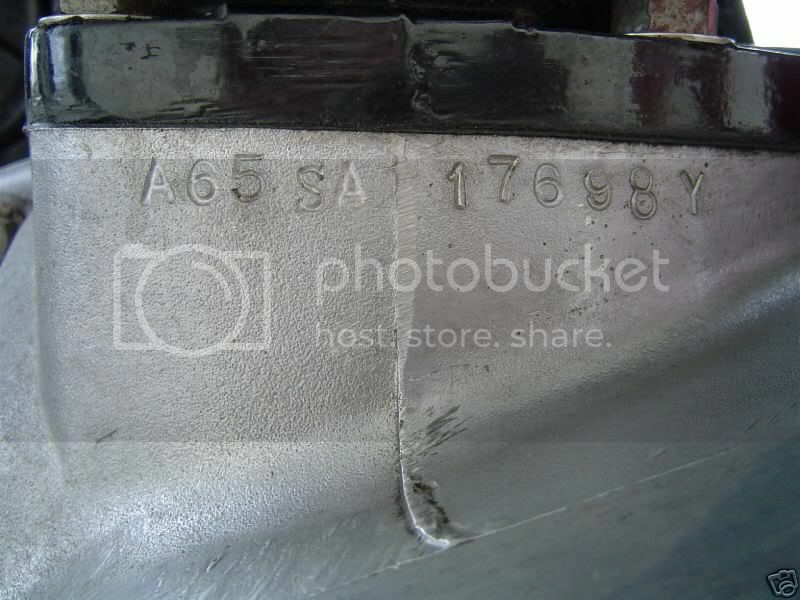 Also noted in my image data base of the '67 SA's (hybrids) are that the cases are '68 style with the cast in place mount for the stator, and no threaded hole for the transmission oil filler plug. That could also throw a wrench into the mix of posibilities you have presented, or did the factory just run out of '67 cases (model-year part change - not-uncommon). More '68 Firebirds were produced than true '68 Spitfires (SB's). I've read somewhere that BSA manufactured the engines, stamped them with the model and serial number and then they went into stores to be fitted into a rolling chassis later. If there was a batch of A65SA motors right at the back of the store room they might have been the last to go down the cycle assembly line. I don't know how true the story about the store room is, but it's quite likely considering that *all* of the triple motors were built at Small Heath, and the T150s stuck on a truck to go to Meriden to be put into bikes. I have heard the frames were stamped to match the engines also. I've read somewhere that BSA manufactured the engines, stamped them with the model and serial number and then they went into stores to be fitted into a rolling chassis later. In the case of all the Y bikes, - indeed all cases, at what point do you think the suffix was added to the engine number ? I would think later on at the time the frame was being stamped. That would be convenient to indicate any peculiarities...... but why then would they stamp the engine with a suffix and not the frame ? All very strange still isn't it. And only certain batches of the twins at that, - we don't see suffix stamps on other models during the late 60's onwards. I know you have commented on the MkIV SA Spitfires before.., did you know about the very late shipping dates...? I think we are all surprised by that. I would like to see a dating certificate for one ... I believe the numbers were assigned about June of 1967, a MkIII in the mid 15700 numbers was shipped towards the end of April. It was a "-Y" bike. Possibly another question for Gary, - were other models apart from the A65SA bikes stamped with such high numbers ? LA14295-Y is the biggest I can do. I have pics of LA16xxx and LA17xxx but they are 1970 'Y' bikes. I have very few pics of any 1967 bikes numbered in the 13xxx to 15xxx series..(Apart from Spitfires). Possibly another question for Gary, - were other models apart from the A65SA bikes stamped with such high numbers? LA14295-Y is the biggest I can do. I have pics of LA16xxx and LA17xxx but they are 1970 'Y' bikes. I have very few pics of any 1967 bikes numbered in the 13xxx to 15xxx series..(Apart from Spitfires). The late Spitfire SA's (hybrids) stand alone with the "Y" engine/no "Y" frame. No other models. The numbers are in a separate section of one of the production books and are random from 11577 to 17892. In the 13000, 14000, and 15000 number groups, a lot of Sptifires and Hornets were produced, with some Lightnings in there, all with "-Y". 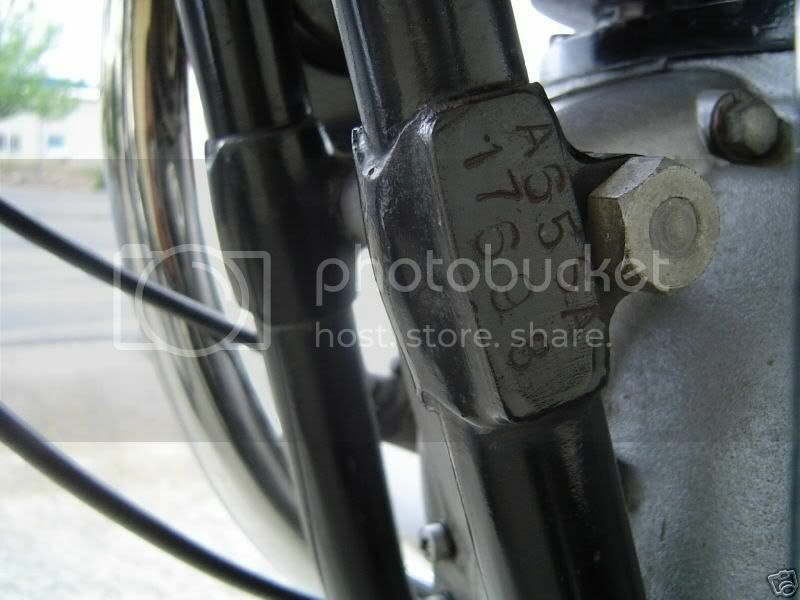 1970 "Y" bikes numbers range from 10434 to 17042 in random of the 10000, 11000, 12000, and 17000 number groups.